One of the most common questions we get is about what makes us so much better than other choices for Bee Cave plumbers. Here at Moore & More Plumbing we know that one thing that sets us apart is our commitment to our customers. Everyone promises good customer service, some deliver, but we go above and beyond. Having been around since 1986 we have been providing excellence in workmanship and results for both our residential and commercial clients. Now, we look forward to having the opportunity to work with you. This will give us the chance to demonstrate in person what makes us the local leading service provider. Quality should always count when it comes to important work like your plumbing services in Bee Cave, TX. Yet so many homeowners end up settling for inferior results just because they didn't do their homework. All you have to do is ask around and you will hear from other community members about what makes us number one. In order to earn the title of number one plumber in Bee Cave, TX, we had to also be able to offer a wide variety of services. Too many so-called pros only provide glorified plumbing repairs, in actuality. There are going to be times that you need much more than that. Sewer Repair & Replacement – Our trenchless system means you get repairs or replacement without having your lawn destroyed. This non-invasive technique also takes a fraction of the time and costs much less than traditional sewer repairs and replacement. Sump Pumps – Keep your basement or crawlspace free from water and prevent flooding with a quality sump pump. The best part is that this will also help prevent other problems such as mildew and mold. 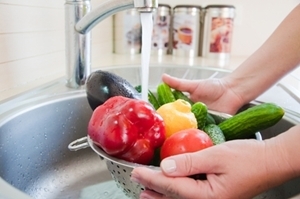 Drain Cleaning Services – Stop living with slow or clogged drains but don't take the risk of ruining your plumbing with harsh, store-bought chemicals. Let our pros provide you with a long term solution that won't damage your pipes. The bottom line is that when you are in need of expert plumbing service, we can provide that for you. 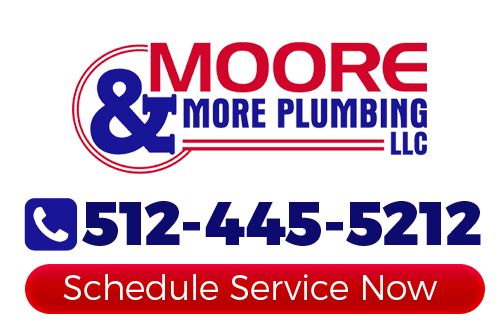 Moore & More Plumbing is ready, willing and more than capable of providing you with the high quality service you need. We offer a wide variety of plumbing services so we can take care of whatever you need done. Don't take chances and settle for anything less than the best. Our plumbing work is the best in the area. If you are looking for a professional Bee Cave plumber then please call 512-445-5212 or complete our online request form.